The following article was written for Berkeley Political Review as part of a collaboration with McGill International Review. Today, British politics are engulfed in one sole issue: Brexit. 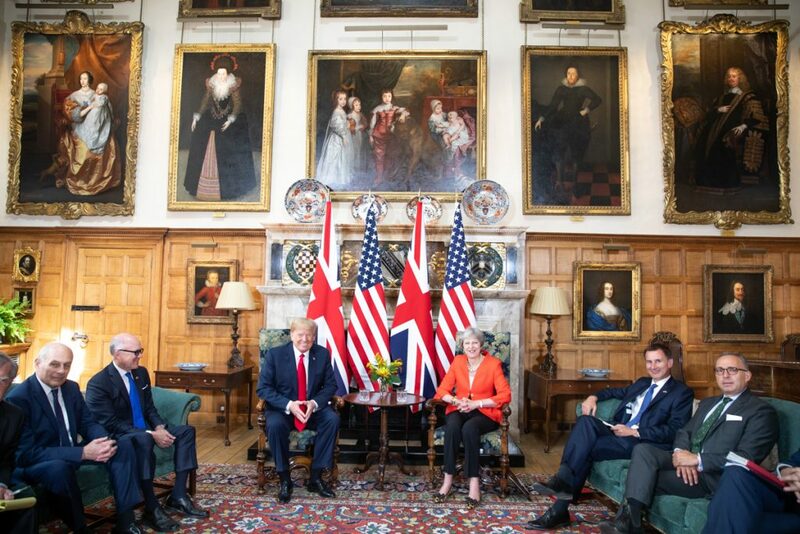 As Theresa May spent the past two years attempting to reach an agreement concerning Brexit, her approval ratings faltered to around 27 percent. The January 15th vote on her Brexit agreement was the most significant parliamentary defeat in history, with 432 MPs against the deal and only 202 in support of it. The next day, Theresa May narrowly survived a vote of no confidence undertaken by the Leader of the Opposition and Leader of the Labour Party, Jeremy Corbyn. As May falls deeper into the unwinnable battle of an agreeable Brexit, Jeremy Corbyn has gained popularity among the British electorate, especially with millennials. In the 2017 general election, Corbyn’s Labour party performed astonishingly well and gave hope to his supporters that he would one day be elected prime minister. However, Corbyn’s rising popularity has largely benefitted from the overwhelming focus on Brexit and May’s failures as prime minister—not his own policies or inherent electability. Since the 2016 referendum on Brexit, Corbyn has displayed an utter lack of leadership on the issue, including an unwillingness to work with the May government on a deal. Perhaps unintentionally, the Labour Party has become the de facto “remain” party, despite their leader’s well-known Euroscepticism. Additionally, Corbyn seems to be losing ground within his own party. Claims of reinforced anti-semitism by the leader of the Labour party resulted in seven Labour MPs leaving the party on February 18th, 2019. As Brexit discussions, and possibly Theresa May’s leadership, near their end, it is essential to examine who Jeremy Corbyn really is, and the lack of leadership he has displayed not only on Brexit, but within the Labour party itself. What Does Jeremy Corbyn Stand For? Jeremy Corbyn, born May 26th, 1949, is one of the most prominent left-wing politicians in British political history. 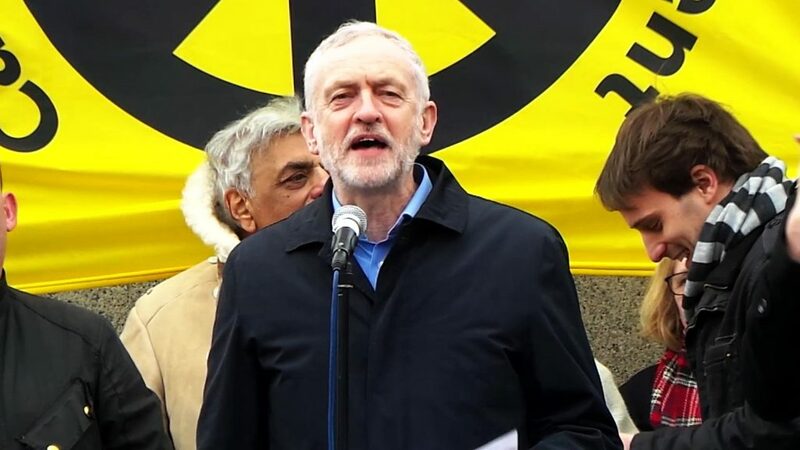 His career as MP for Islington North, a working-class constituency in London, began in 1983 and was defined by a radical voting record, from denuclearizing the UK to renationalising railways. While the Labour Party is often defined as centre-left, Corbyn strays into more extreme tendencies of left-wing politics. As a young MP, Corbyn contributed articles to a Communist newspaper and associated with the armed faction, Sinn Féin, of the Irish Republican Army (IRA). The IRA, a militant national organization striving for the reunification of Ireland with Northern Ireland, is known for using extreme violence and guerrilla tactics for political purposes. In 2015, Jeremy Corbyn replaced Ed Miliband as the leader of the Labour Party with unexpected popularity and success, despite never seeking ministerial office in a Labour government. Corbyn’s political positions, domestic and international, should be scrutinized. 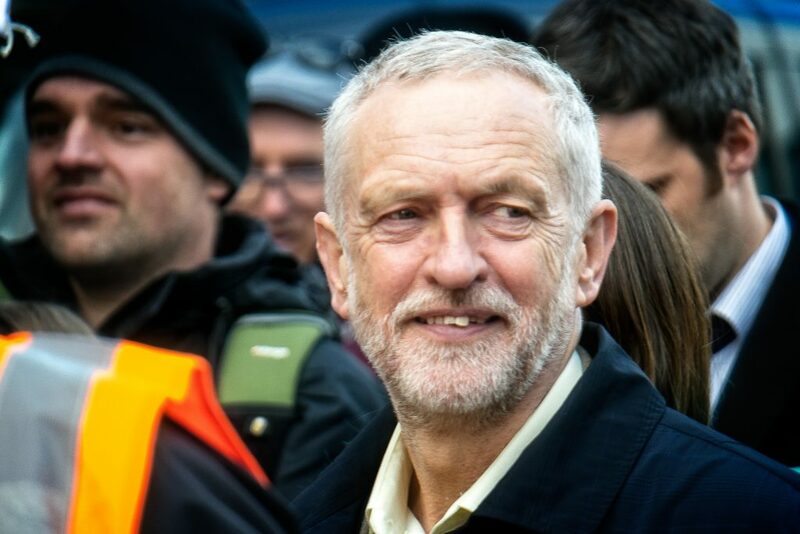 Corbyn has never shied away from his support of authoritarian regimes through his anti-imperialistic lens, including refusing to impose tougher sanctions on Russia and aligning himself with Russia and China in criticising the US and other Western countries for recognising Juan Guaidó as Venezuela’s interim president. His support of Hugo Chávez and his model of socialism have impeded his ability to see the problems with the Maduro regime, ultimately supporting despotic leaders such as Putin, Xi Jinping, and Maduro himself rather than siding with his democratic counterparts. Corbyn’s previous affiliation with the armed faction of the IRA, as well as his implicit support of authoritarian leaders across the world, make him an unreliable leader. In promoting his socialist ideology, Corbyn also betrays it. Socialism, most importantly, is a political philosophy that focuses on the rights of the people. Corbyn, however, frequently sides with those in power, such as in his support of Maduro’s corruption and ultimately illegitimate presidency. This revived vision of socialism, promoted by Corbyn and other politicians such as Jean-Luc Mélenchon in France, bases itself in a Cold War understanding of politics and of the world. His foreign policy seems largely determined by sentiments of anti-Americanism, coupled with conspiracy theorist opinions and distrust towards international agreements such as NATO. Corbyn’s staunch ideology of anti-Western imperialism is emboldened by his anti-semitism. Corbyn has repeatedly been criticised for his ties to Islamist military groups, such as Hamas in Gaza and Hezbollah in Lebanon. Since Corbyn has become the leader of the Labour Party, many have criticised the party’s turn towards institutional anti-semitism and “anti-Jewish racism” with the widespread use of “anti-semitic taunts.” In all his foreign policy decisions, whether it be with Russia, Israel, Venezuela or China, Corbyn tends to take a position contrary to those taken by the UK’s allies in Europe or in the US, rightfully fitting into his antiquated vision of the world. After examining Corbyn’s ideologies and his political positions on foreign policy, it comes as no surprise that he is also a eurosceptic. Perhaps it is unfair to ask Corbyn, who voted for Britain to leave the European Community in 1975, to campaign for Remain. As Brexit was politicised in 2016 by Nigel Farage, former leader of UKIP (United Kingdom Independence Party), and hard-right Conservatives such as Jacob Rees-Mogg and former Secretary of Foreign Affairs Boris Johnson, the Labour Party became, almost by default, the party for Remain. For the past two years, Corbyn has done basically everything except talk about Brexit. To this day, it is unclear what the Labour Party’s position on Brexit is. The leader of the Labour Party constantly minimises the significance of the Brexit conversation; however, we have arrived at such a point that we can no longer separate Brexit from issues of poverty or climate change in the UK. The unpredictability of Brexit will likely raise poverty rates in Britain, especially for children, and will cause the loss of millions in EU funding, which currently aid some of the poorer areas in the UK. In November 2018, Corbyn was criticised by his own MPs for stating that they “can’t stop Brexit.” His lukewarm approach to Brexit is nothing new. When the campaigning for Remain began in 2016, Corbyn declared his passion for staying in the EU was around “seven out of ten”—not exactly persuasive for those unsure of their upcoming vote. His campaigning was lacklustre, appearing in only 123 speeches between May 6 and June 22, 2016, compared to David Cameron’s (Remain) 499 appearances or Boris Johnson’s (Leave) 379. Essential to note, as well, in his campaigning, was Labour’s unwillingness to work alongside the Conservative’s Remain campaign. His lack of campaigning and care for Remain exemplifies a dismissal of Europe in his politics. Today, Corbyn has maintained a refusal to work with Theresa May on a Brexit deal. Corbyn’s lazy approach to Brexit can be understood through the ultimatum he placed on the PM, which necessitates removing the possibility of a no-deal Brexit so that they can begin talks. However, this ultimatum blissfully ignores the Conservative faction of hard-leaning Brexiteers, which the PM, as their leader, cannot simply dismiss. In giving such an ultimatum, Corbyn showed his unwillingness to help steer the UK from a less-than-desirable Brexit; rather, he is just delaying its resolution. Corbyn’s latest position on Brexit prioritises a call for a general election, in which he could specify Labour’s approach to the issue, and newfound support for a second referendum, the People’s Vote. However, these efforts are seen as halfhearted, and simply a tactic aimed at bringing unity back to the Labour Party. By laying low on Brexit, Corbyn could be focused on trying to build momentum, and leadership, for the next general elections. Ultimately, his strategy seems to focus on painting May, with her refusal to drop the possibility of a no-deal Brexit, as the enemy and himself, as the voice of the British people. However, by not actively fighting for the resolution of the Brexit conversation, he shows that he does not have the best interests of the people at heart. Right now, Corbyn is concentrated on himself, and on his chances of being the next PM. Time has not done Jeremy Corbyn any favours. One year after becoming leader of the Labour Party, in 2016, Corbyn faced, and lost, a vote of no-confidence with 172—40 MPs calling for his resignation. Despite such a devastating loss, Corbyn refused to step down, claiming the vote was constitutionally illegitimate. Then in the 2017 general elections, the leader of the Labour Party outperformed all expectations. This success did not last. The Brexit negotiations have affected both Theresa May and Jeremy Corbyn’s popularity. His lacklustre engagement on the issue has proved unsatisfactory, creating discontent within his own party. Brexit, however, is only one of the many issues Corbyn now faces as Leader of the Opposition. Again, claims of institutionalised anti-semitism have completely destabilised the Labour Party. In February 2019, seven MPs quit the party, pointing fingers to the leadership’s positions on Brexit and, more importantly, its handlings of anti-semitism within the party. While this may come as a shock, in March 2018, more than a dozen Labour MPs participated in a public protest which accused their party’s leader of anti-semitism. Corbyn has repeatedly been criticised for not doing enough in addressing these claims; between April 2018 and January 2019, there were 673 accusations of anti-semitism among members of Labour. Corbyn’s past of supporting anti-semitic tropes, and his downplaying of extremist militia groups in the Middle East, does not bode well for him. Labour has an obvious problem with anti-semitism, and as long as Corbyn remains their leader, it is unlikely to be solved. As the UK keeps falling down the Brexit rabbit hole, Jeremy Corbyn is doing nothing to help. His lack of leadership on Brexit, and within the Labour Party itself, shows he is not only unfit to lead his own party, but to lead the country. For the sake of Labour, and for the UK, it is essential that a competent replacement to Jeremy Corbyn is found. While the Conservative Party is actively tearing itself apart, between Remainers, soft Brexiteers, and hardliners, the Labour Party is fizzling away under an unworthy and severely outdated leadership.